Doesn't it seem strange to talk about February book releases on New Year's Day? But, I'm giving you a heads up so you can have time to order them from your favorite bookstore or library. Here are the books I have in my closet with February publication dates. Yesterday, Mason Canyon gave me an award, and I was supposed to tell people ten things about myself you might not know. Well, here's one. I'm a NASCAR fan. That's why I have two NASCAR books in my TBR pile, and the one that comes out in February is called He Crashed Me So I Crashed Him Back by Mark Bechtel. It's the story of 1979, the year stock car racing became a major sport. 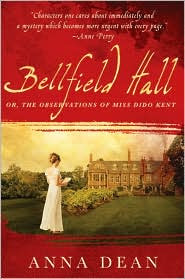 Bellfield Hall is the first in a new mystery series by Anna Dean. She brings us Miss Dido Kent, an unmarried woman past her "first youth," who goes to a country manor house when her niece's fiancé disappears after breaking off their engagement. But, she's soon caught up in a bigger problem, when a young girl is found dead. It's a mystery inspired by Jane Austen. Scarlett Dean combines police drama and the supernatural in the second book in the Frost Sisters series, Shield of Duty. Homicide Detective Lindsay Frost is dead, but that doesn't stop her from her duty of investigating mysterious deaths. But, the kidnapping of her sister, Kate, another homicide detective, disrupts Lindsay's new "life" in the next world, when she's caught between cases in both places. In The Spies of Sobeck by P.C. Doherty, Chief Amerotke returns in a story of murder and treason to solve a mystery, and prevent a war in Ancient Egypt. The Serpent Pool is the latest Lake District mystery by Martin Edwards. DCI Hannah Scarlett of the Cold Case Squad reopens a seven-year-old drowning case, while dealing with problems at work, and at home. Problems just accumulate for Scarlett and historian Daniel Kind, who encounter dark secrets. Peter May returns to China for The Runner, a mystery bringing Beijing detective Li Yan and American pathologist, Margaret Campbell, together. Li Yan discovers that some of China's top athletes have died, threatening the future of international athletics. The key to the case may lie with a champion runner, who disappears. Tattoo is a translation of one of Manuel Vázquez Montalbán's Pepe Carvalho mysteries. Carvalho, an ex-cop, ex-Marxist private detective, is hired to find out who a man is. The story begins in Barcelona, where the body was pulled from the sea, with only a tattoo to identify him, "Born to raise hell in hell." It's a case that leads to Amsterdam, and the realization this isn't a straightforward case. 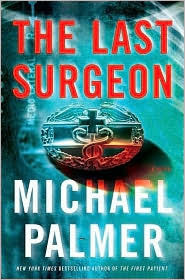 New York Times bestselling author, and master of medical suspense, Michael Palmer, has a new thriller, The Last Surgeon. Gillian Coates doesn't believe her sister committed suicide. And, Dr. Nick Garrity doesn't believe his best friend just disappeared. And, it doesn't take them long to discover a connection between these seemingly random events, a connection that could lead a killer to the next victim, and the last surgeon. Broken Places is the third book in Sandra Parshall's series featuring veterinarian Rachel Goddard and Sheriff Tom Bridger. It's a story of murder, blackmail, and secrets going back to the 1960s. One of Rachel's old friends is a suspect, while the victims' daughter is Bridger's old girlfriend. Suddenly the couple finds themselves torn apart, not knowing who they can trust. Seahawk Hunting is the second book in Randall Peffer's Civil War trilogy. Rafael Semmes is an ardent supporter of the Southern cause, a daring captain in the Confederate Navy. Once Semmes takes command of the fastest commercial raider of its time, he's heading into battle, and danger. 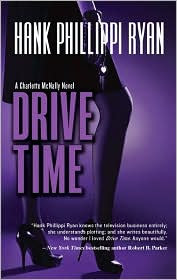 February brings the latest Charlotte McNally novel by Hank Phillippi Ryan, Drive Time. Investigative reporter Charlotte McNally finds her professional and personal lives on a collision course when her latest scoop takes her on stakeouts and high-speed chases to uncover a counterfeit car scam. Revenge, extortion and murder could ruin her future plans, or leave her dead. City of Dragons marks the debut of a new series for Kelli Stanley. When private investigator Miranda Corbie stumbles upon the body of Eddie Takahasi in San Francisco's Chinatown in 1940, everyone from the Chamber of Commerce to the police want to cover up the murder. Miranda isn't willing to go along with that, and her investigation takes her from Chinatown tenements to a high-class bordello, as she seeks the truth. 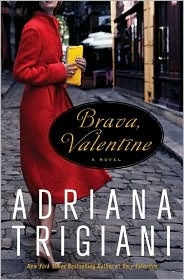 And, what would February be without Adriana Trigiani and the second book in her Valentine trilogy, Brava, Valentine? This is another lush book featuring Valentine Roncalli, and her loving, but argumentative Italian-American family. It's sure to be another bestseller, following the success of Trigiani's Big Gap series, and the first book in this one, Very Valentine. I've found treasures in my closet for February. I hope you discover a book or two that you'll consider treasures. Ooh, I can't wait for Trigiani's newest. I just loved Very Valentine. happy reading and blogging in 2010! Lesa, I've got copies of Bellfield Hall and City of Dragons here that I'm hoping to get to. They both sound marvelous. I'm going to pick up The Serpent Pool and probably a bunch of Peter May books when I go to the Poisoned Pen (yea!!!) in Februrary. So many good books. Can't wait. I think we will be coming in to Phoenix on Thursday, Feb 4th and will fly back out on Monday, the 8th. See you soon, I hope! Thanks for the mention of Broken Places, Lesa. The Poisoned Pen bookstore will have signed copies after it's published. February isn't looking as bleak as it usually does! Wow, these are some great new releases. I can't believe all the great titles coming out in the first three months of this year, Lesa! I literally have my reading schedule booked through the end of March. That's just incredible. I'm looking forward to CITY OF DRAGONS, thrilled to see Hank's new title on the list as well as Michael Palmers. Also really hyped about Ohio's own Craig McDonald who has PAINT THE LEGEND coming out! 2010 is shaping up to be a fantastic reading year again! Diane, I'm with you. Looking forward to both of those books. I enjoy sharing these titles! Happy New Year! You're going to like Brava, Valentine as well, Kaye. I reviewed it for Library Journal, so that's one I've already read. Hated to see it end it was so good. I just get sucked right into Valentine's life. I'm looking forward to seeing you, Kay! I know we can find sometime to get together while your husband plays golf. Lots of good books in February, and lots more at the Poisoned Pen! Well, maybe the good books can get us all through bleak February, Elizabeth. See, something you didn't know about me! I love NASCAR, and I've been to PIR here in Arizona. So, many books, so little time, right, Jen? I'm with you. I have piles of books in my room. Do you know how many books are coming out on January 5, alone? Looks like it will be a good year! Lesa, such great books to look forward to. Sounds like 2010 is going to be a wonderful year for us readers. I like the way you shared one thing today about yourself. Wish I had thought to say tell one thing about yourself every day for 10 days. Can't wait to see what else you have stored in your closet for us in the coming days. Thanks. What a wonderful treat to be on this list...and I can see my TBR pile is about to get even larger! I think 2010 is going to be good for readers! Hmmm. I'll have to think about what to share tomorrow. You're welcome, Hank! And, I'm looking forward to Drive Time. I'm glad your TBR pile is increasing! It's an honor to be here--thanks again, and Happy New Year! And, you can tell there are a couple of us here really looking forward to City of Dragons. I know it's early, but good luck with it!